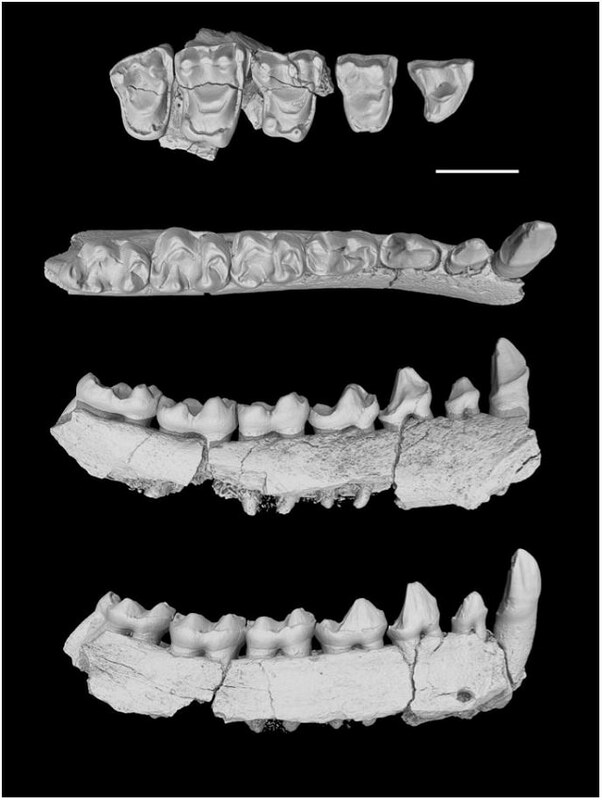 Scientists from the University of Kansas have discovered a "mother lode" of six new fossil primate species in parts of southern China. Approximately 34 million years ago, these primate species eked out an existance soon after the Eocene-Oligocene transition. This period was a time when extreme cooling made most parts of the Asian regions unfavorable to these primates. As a result, their population was reduced drastically and this made it difficult to unearth such fossil species. The results of the study have been reported in the Science journal. At the Eocene-Oligocene boundary, because of the rearrangement of Earth's major tectonic plates, you had a rapid drop in temperature and humidity. Primates like it warm and wet, so they faced hard times around the world -- to the extent that they went extinct in North America and Europe. Of course, primates somehow survived in Africa and Southern Asia, because we're still around to talk about it." Because anthropoid primates -- the forerunners of living monkeys, apes and humans-- first appeared in Asia, understanding their fate on that continent is key to grasping the arc of early primate and human evolution. This has always been an enigma. We had a lot of evidence previously that the earliest anthropoids originated in Asia. At some point, later in the Eocene, these Asian anthropoids got to Africa and started to diversify there. At some point, the geographic focal point of anthropoid evolution -- monkeys, apes and humans -- shifted from Asia to Africa. But we never understood when and why. Now, we know. The Eocene-Oligocene climate crisis virtually wiped out Asian anthropoids, so the only place they could evolve to become later monkeys, apes and humans was Africa. The study was the outcome of years of fieldwork carried out at a southern Chinese site, where the primate species would have migrated in search of warmer temperatures. Along with other researchers Qiang Li, Xijun Ni, and Lüzhou Li of the Chinese Academy of Sciences' Institute of Vertebrate Paleontology and Paleoanthropology, Beard elucidated the six new fossil species from tooth and jaw fragments, which act as fingerprints to locate prehistoric animals. These fragments have strong enamel surfaces, and thus were able to withstand many years of time. The fossil record usually gives you a snapshot here or there of what ancient life was like. You typically don't get a movie. We have so many primates from the Oligocene at this particular site because it was located far enough to the south that it remained warm enough during that cold, dry time that primates could still survive there. They crowded into the limited space that remained available to them. According to the KU researcher, the ancient Chinese primates were similar to present-day primates and were typical tropical tree-dwellers. One of the species, named Oligotarsius rarus by the researchers, was "incredibly similar" to the current tarsiers that inhabit the Indonesian islands and Philippine. If you look back at the fossil record, we know that tarsiers once lived on mainland Asia, as far north as central China. The fossil teeth described in this paper are nearly identical to those of modern tarsiers. Research shows that modern tarsiers are pretty much living fossils -- those things have been doing what they do ever since time immemorial, as far as we can tell. Beard further added that if extreme cooling of the Eocene-Oligocene transition has not occurred, the critical stage of primate evolution could have continued to remain in Asia, and would not have migrated to Africa where Homo sapiens evolved in due course. These key findings indeed highlight a susceptibility to climate change, shared by all primate species. This is the flip side of what people are worried about now. The Eocene-Oligocene transition was the opposite of global warming -- the whole world was already warm, then it cooled off. It's kind of a mirror image. The point is that primates then, just like primates today, are more sensitive to a changing climate than other mammals.